A celebration of a legendary Finnish author, with several novels, stories, and appreciations. For readers of Ursula K. Le Guin, Milan Kundera, Virginia Woolf, Tove Jansson, and Italo Calvino. Over 800 pages covering Leena Krohn's entire career. "One of the most important books published in the U.S. this year. Leena Krohn's Collected Fiction] is as important a publishing event in its own way as New Directions' release... of Clarice Lispector's Complete Stories." - The Mumpsimus "An extraordinary writer who deserves to be better known to readers in English--which, thanks to this excellent collection, is now possible. Reminiscent of Calvino, Borges, and Lem." - STARRED REVIEW, Kirkus Translations by: Eva Buckwald, Bethany Fox, Hildi Hawkins, Anselm Hollo, Vivii Hyvonen, Leena Likitalo, Herbert Lomas, J. Robert Tupasela, and Anna Volmari. Nonfiction by Minna Jerrman, Desirina Boskovich, Matthew Cheney. From cities of giant insects to a mysterious woman claiming to be the female Don Quixote, Leena Krohn's fiction has fascinated and intrigued readers for over forty years. Within these covers you will discover a pelican that can talk and a city of gold. You will find yourself exploring a future of intelligence both artificial and biotech, along with a mysterious plant that induces strange visions. Krohn writes eloquently, passionately, about the nature of reality, the nature of Nature, and what it means to be human. One of Finland's most iconic writers, translated into many languages, and winner of the prestigious Finlandia Prize, Krohn has had an incredibly distinguished career. 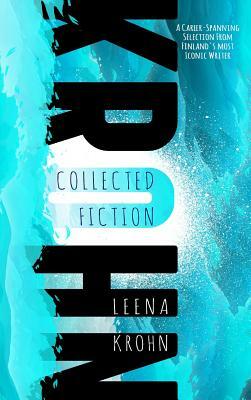 Collected Fiction provides readers with a rich, thick omnibus of the best of her work. This collection includes several previously unpublished English translations, foremost among them the novels Pereat Mundus and The Pelican's New Clothes. Other novels included are: Tainaron, Dona Quixote, Ophir City of Gold, and Datura.